I love the weightless feel of it! It contains antioxidants vitamins A, C, and E and hydrating properties thanks to glycerin and hyaluronic acid. 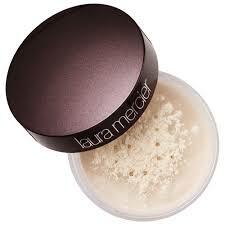 It allows your foundation to go on smooth right after putting it on. 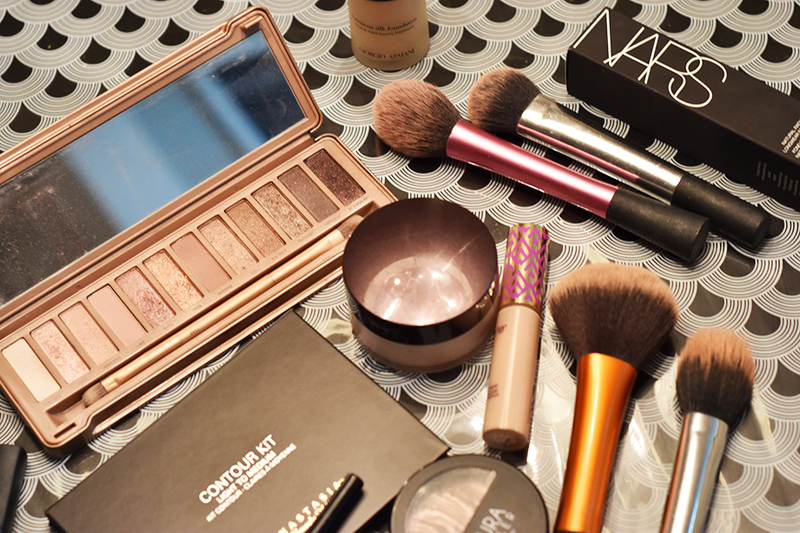 Ladies, all I am going to say is… Life Changing! It is definitely one of the more expensive foundations but 100% worth it. I have all of my friends using it and they rave about it almost every day! 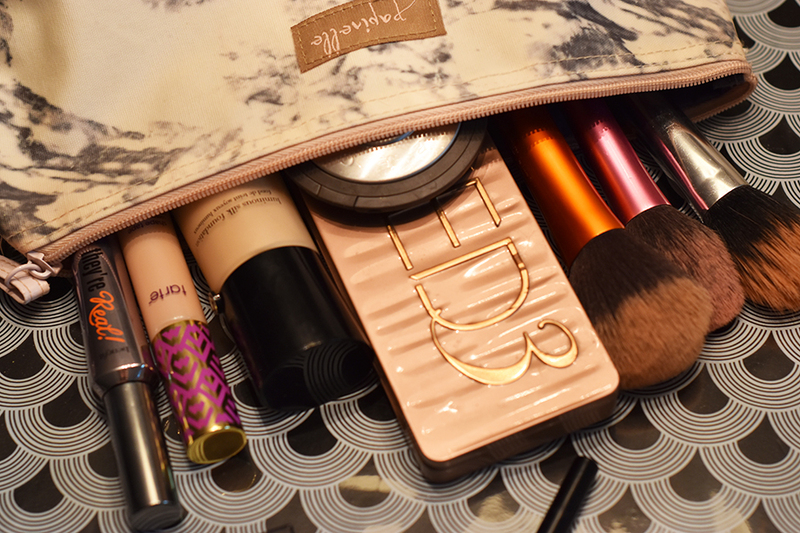 I always use a BeautyBlender for the best even coverage and minimal product use. I recently purchased this while I was down in Arizona as almost all beauty bloggers have been talking about it. 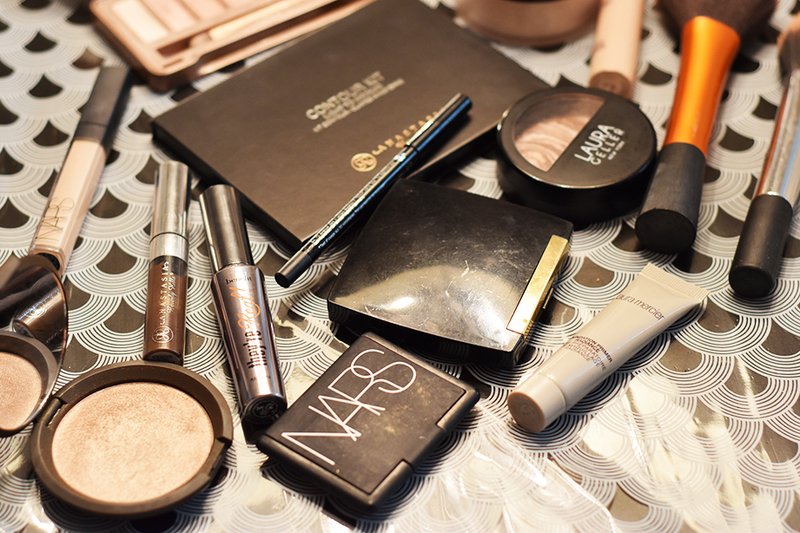 I use to use Nars Radiant Creamy Concealer [and still do] because it’s a more everyday product. 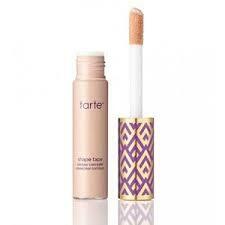 I use the shape tape concealer for a more full coverage look on a night out or a close up shoot as it really brightens underneath your eyes! I have used this setting powder for about a year now, and haven’t gone through even half of it. I only use it on top of my concealer [which is usually just under my eyes] and it makes it so that there are no creases from the everyday wear. Of all the beauty items, this is the one I would chose over and over again. 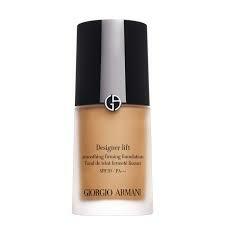 It makes my skin look absolutely flawless whether it’s over top of my foundation or not. I have always had tons of compliments on my skin and I think a major shout-out to to this powder foundation is in order! This is an Ulta find! I went shopping with my Mom about a year ago and she said one of her GF’s had recommended this beauty brand. 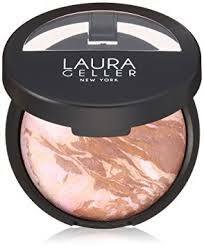 I had honestly never heard of it but thought I would give it a try [especially if Mom’s paying haha] and it turned out to be an amazing bronzer. 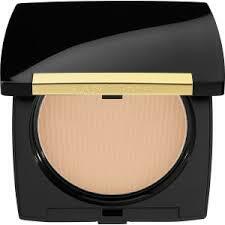 It can be put on super light or you can build it up to match your skin tone in the summer time. 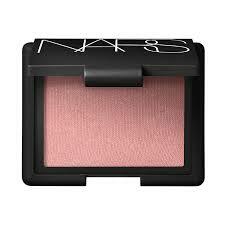 The holy grail of blushes. 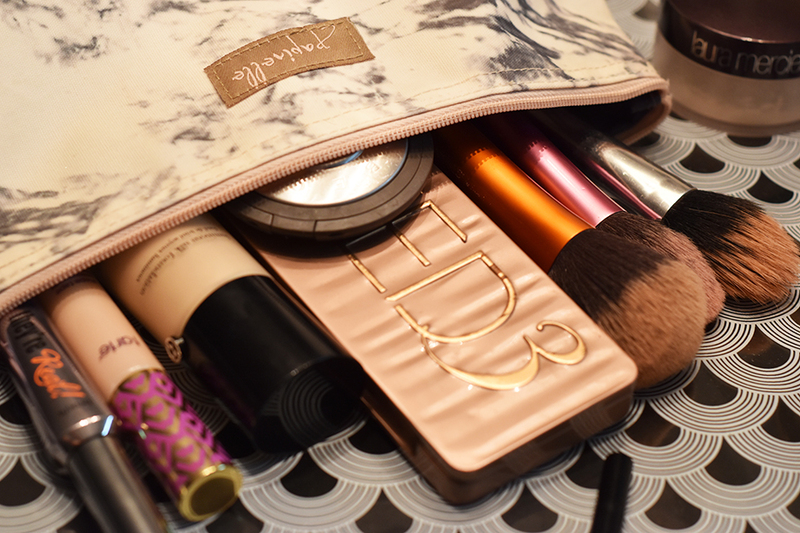 I think almost anyone who loves makeup has this one in their bag. 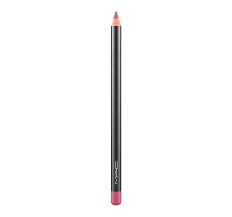 It is the perfect pink for all seasons because it’s got enough of a rose colour for the winter, but it also has the peach tones for a lighter & brighter spring/summer look. 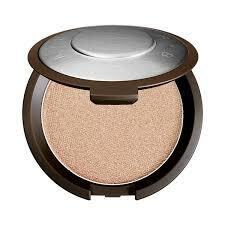 I love that there is a bit of highlighter in it as well, who doesn’t want to shine?! I can’t remember where I saw it… but putting highlighter right above my lip between my nose and upper lip has made my lipstick stand out so much more! I like to play around with highlighter. One of my makeup artist friends has always said ‘put highlighter wherever the sun would naturally hit you on your face.’ While that is true for the most natural look, can’t the sun potentially hit your whole face? I don’t think there is every enough sparkle! Give it a try! 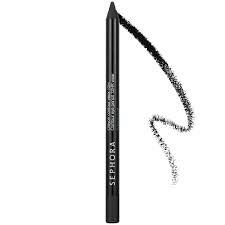 The only eyeliner I have found [after trying designer and drugstore brands] that lasts the longest on my lower waterline! 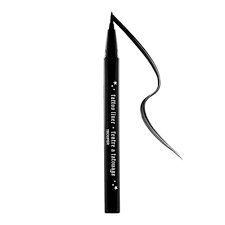 This is the best all day liquid liner. It literally doesn’t move until you scrub your eyes with makeup remover! Unlike traditional felt tip liners, the brush tip will not fray either which makes the liner last much longer than most. 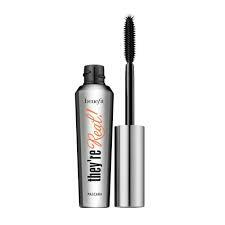 My favvvvvourite mascara! Especially when I don’t have lash extensions on because everyone knows, once the extensions come off… It takes a good 2-4 weeks for your lashes to grow back to their normal length. 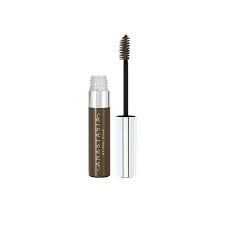 This mascara really makes them look like they are back to their natural length right away! I have had all three of the Naked Palettes and I honestly can’t choose between them. I have been using this particular palette more recently because there are quite a few lighter colours and that’s just what I have been feeling lately. The colours are super pigmented and you can really play around with the palette for multiple looks. 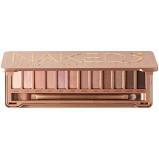 I use the Urban Decay Eyeshadow Primer underneath and it works like a charm. After wearing for over 12 hours, I don’t get a single crease on my eyelids. The brows. I am so lucky that I have really dark brows to begin with so they really don’t need a lot of attention. If I am going out with the girls or on a date night with my hubby I usually brush on a bit of this gel. It helps keep them in place and it defines them a little more for a bolder look. Lastly, the lips! The colour that goes with everything… Brave. 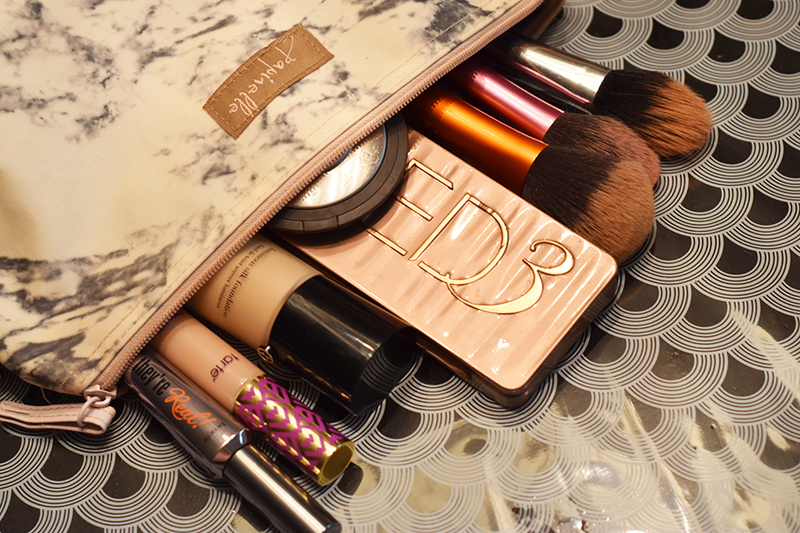 I use the lip pencil soar with it and it is the perfect match. To be honest, I use this liner with all my pink lippies because even if it’s a bit darker it still looks amazing! 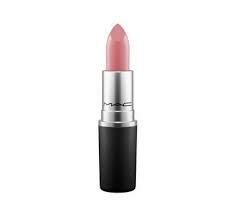 Mac is definitely my go-to when it comes to lipsticks. I hope this helps y’all and answered most of your questions! As always, I am more than happy to answer any of your questions! Stay tuned for a giveaway on my instagram @houseofclassy_ coming soon! Comment below or send me a quick email. I’d love to chat!